The error Invalid details not saved. 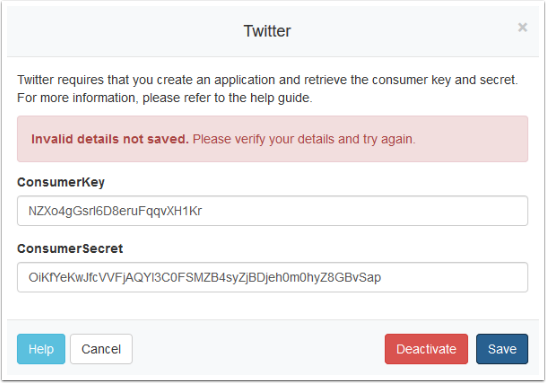 Please verify your details and try again may occur when attempting to activate Twitter sign in integrations. A recent change to the Twitter APIs has necessitated a change in the way Callback URLs are configured in Twitter Apps. Previously we recommended entering the URL of your WHMCS installation directory. 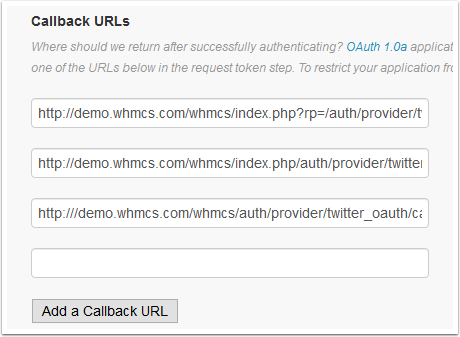 This change means it is now necessary to specify the precise full URL to the callback file used by the Twitter API to interact with your WHMCS installation. 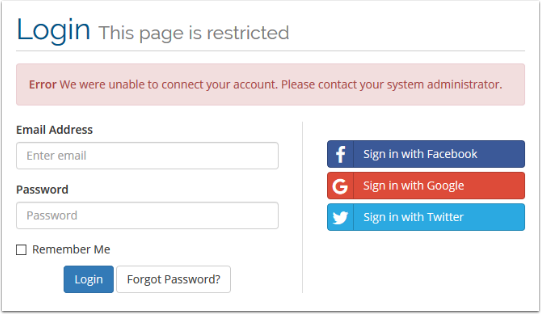 Now return to WHMCS and activate the Twitter Sign-In Integration again via the Setup > Sign-In Integrations page. This time is will activate successfully.